India is located in a region where the needs, both physically and spiritually, are desperate and urgent. 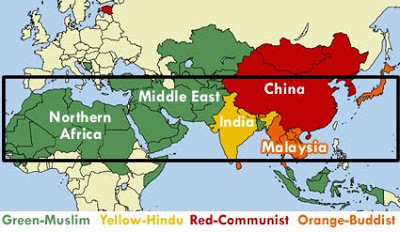 India is smack dab in the middle of the 10/40 Window - where every major non-Christian religion - Islam, Buddhism, Hinduism, Animism, Atheism, and Sikhism - is headquartered.As you can see on the map, India is predominately Hindu. Seems like a promising mission field, right? Obviously another strategy is needed to reach India. And that's where national church planters can make the difference. Finances. Statistics show that a native church planter's salary is 1/10th of a western missionary. Accustomed to living on the same wages as his fellow citizens, (often less than $200 a month), multiplies the value of each and every dollar invested in the mission. And leverages your giving immensely for God's glory. Communication and Culture. Learning the language and adjusting to the culture is time consuming and a huge expense for traditional missions initiatives. During this learning curve, months - or even years - may pass while less outreach is accomplished. Clearly the native worker has the edge in this regard. From the very first day in the field, he/she is a ready, able and effective evangelist and teachable church planter. Lifetime Commitment. Most missionaries are sent overseas for a finite period of time (3 years is the average). A national remains in the country for decades then retires there, where he/she can continue impacting the community for Christ. There is no alternative. Today, over half of the world has not heard the Gospel. Let's face it, God created a big world. There are simply not enough western missionaries to reach all the world - even if every member of the body of Christ went overseas today. 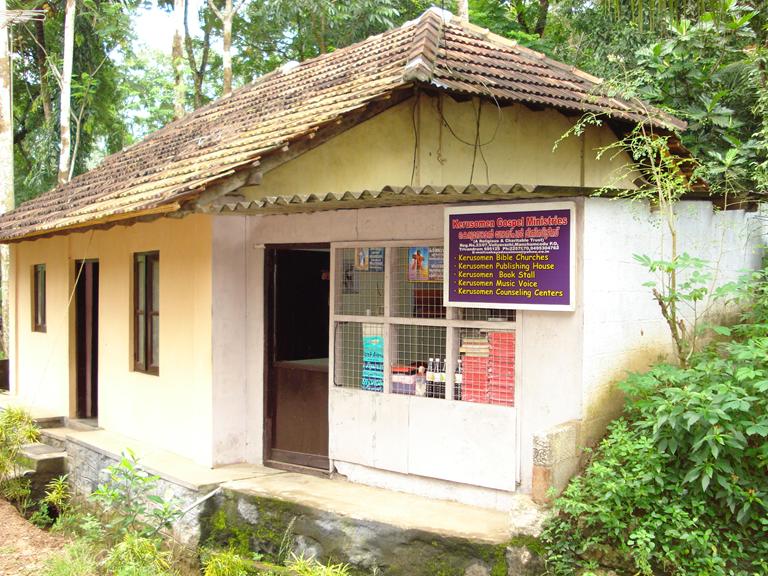 Without native ministries, much of the world will never hear the gospel. 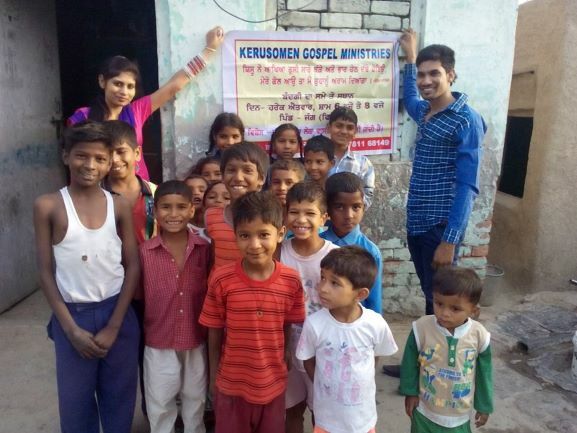 Individual believers, organizations and churches in the U.S. partner with Kerusomen Gospel Ministries in our India Church Planting Initiative. Kerusomen sends support to the native pastors through Kerusomen Gospel Ministries, India. Additionally, Kerusomen US helps with accountability, and encourages them through mission trips and pastor training conferences. We are thrilled about what God is already doing. 36 churches have already started. 6 more will be opened in June 2019. The pastors are bold and loving, energized by the Holy Spirit, and "always prepared to give the reason for the hope that is in them." The name of Jesus is being lifted up. Lives are being saved. 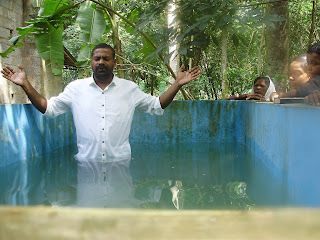 Believers are being baptized. But there's so much more we can do together. How do we, individually, fulfill the Great Commission? Hearing the multitude of heartbreaking stories, learning the vast unreached numbers, can overwhelm us and even discourage us. We think "what difference can I make?" The answer is simple. None, if we don't get in the race. We believe our personal "race" involves India. Reaching one person at a time. Building partnerships with native believers who are best equipped to saturate their country with churches transformed by the Good News of Jesus Christ. We invite you to get to know us and our hearts through this site. May God bless you as we earn your trust. We pray you'll stand with us in prayers and financial support for the church planters in India. The cost to support a pastor is $50 a month. This small amount covers 40% of his living expenses. Smaller gifts are combined with others to make a total $50 gift for each pastor every month. Your gifts are an investment with returns multiplied as these evangelists sow saving grace into the lives and hearts of many. The time is short. Let's run!